A regional terminal for cargo heading from the Port of Savannah to area companies could open in 2021 at the Gateway Industrial Centre off Ga. 365 in North Hall. State officials, including Gov. Nathan Deal, touted and gave more details about the project, which was announced earlier this year, at a gathering with area business and government leaders Dec. 3 at Lee Gilmer Memorial Airport in Gainesville. Construction is expected to start in August on the Northeast Georgia Inland Port on 104 acres off Gateway Centre Parkway, along a strip of land next to Norfolk Southern railroad lines. The port will serve the Interstate 85 region of Georgia, which Deal called an important area for the production of heavy equipment, food and forest products. 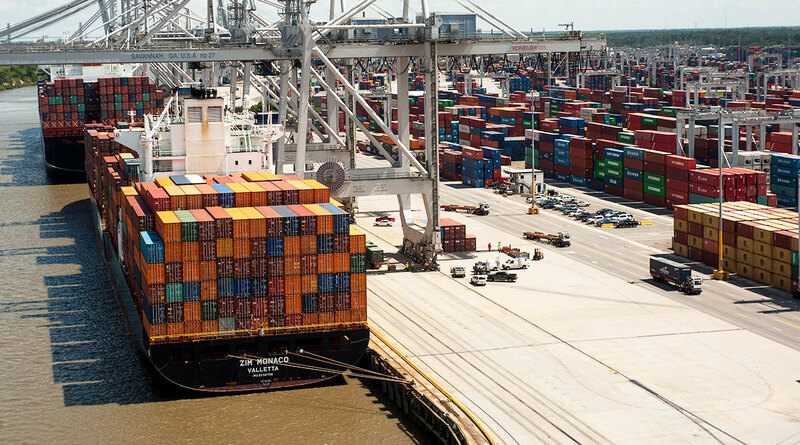 Handling import and export containers at the Gainesville terminal, Norfolk Southern will provide service on a direct rail route to and from the Port of Savannah’s Garden City Terminal. At full build-out, it will have the capacity to handle 150,000 containers per year. The port eventually could have up to 20 employees. “[It] will also act as an economic development tool, drawing new investment from business and industry to Hall and its surrounding counties,” Deal said. The inland port already is drawing economic interest. Officials also announced Dec. 3 that Auto Metal Direct, a worldwide distributor of auto body panels and trim for classic cars and trucks, plans to build a 318,000-square-foot distribution and fulfillment center at Gateway, across the street from the port. Construction will begin soon on the $15 million project, expected to create 40 jobs. “Hundreds of containers each year are received by AMD, so the services provided by the Georgia Ports Authority are essential for the maintenance and growth of our business,” Auto Metal Direct President Mark Headrick said in a press release. The Appalachian Regional Port, serving the I-75 region of Georgia, opened Aug. 22 on 42 acres in Murray County.